Personalized My Family Nest Metal Wall Sign. 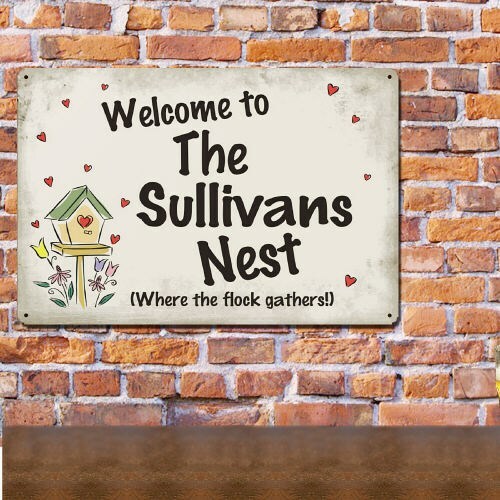 This family nest Metal Sign gives a feeling of wonderful family that lives together in a wonderful home. This sign is the perfect way to show any greeters at the door. Wall Sign makes a perfect housewarming gift.